The season was drawing to a close and I had just got back from Costa Rica where I hooked a few fish but land too few too. I arranged to go down to the H.Avon with Andy and Mark Woodage who like us enjoys fishing for big fish. To start with we went our different ways. Andy for pike me and Mark for chub. 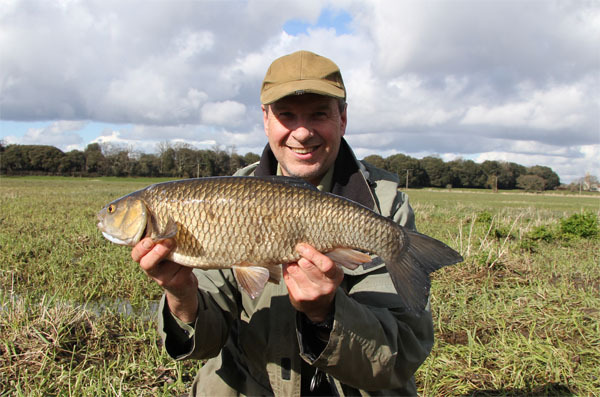 I fished a swim which normally produces some good 6lb plus chub. I was fishing with a feeder to hold bottom near to some overhanging branches. Two hours and not a sign of a chub later I was worried. A fellow angler had passed me earlier float fishing further down. I saw where he was fishing and having put in plenty of maggots and using a centre pin he found it difficult to keep the line when trotting down. He passed me on the return and said he had one chub but found it hard to keep the float on the far bank line. Now thinking the swim was fed I moved down and put the float rod together and it wasn’t long before I was playing my first chub. There is a line of reeds on the far bank and like most swims on the Avon you need to trot close to these. The main thing is to feed every cast down, just a few maggots is a must! The chub was over 4lbs and fought well. Andy and Mark soon turned up after a while. Mark had caught a couple of small chub but wasn’t happy about playing them in the swim he fished. Andy had a good few pike to 13lbs. So we met up and had a chin wag. Mark was fishing a swim below me where there are some good size bream. He was more than happy to land a 5lbs 9oz chub quickly. Then the bream moved in and he continued to catch more of the beauties, I think that’s what he called them. These bream grow to 8lbs there and it’s great fun playing them in the strong flow. In the mean time I was taking chub on a regular basis. Andy arrived in my swim just in time to land another chub of about 4lbs. He had already fed the swim he was fishing via a dropper. After landing the chub for me he went back to his swim and started trotting. He too caught a fish quickly however only a small one. Mark was thoroughly enjoying himself hooking bream, not! I hooked a nice fish which almost made it into the far bank reeds a few times. I thought it might be a 6lber. However at 5lbs 6oz it was still a nice fish. Andy was too playing a good fish and his was 6lbs 1oz. So we photographed each other fish and happy days. 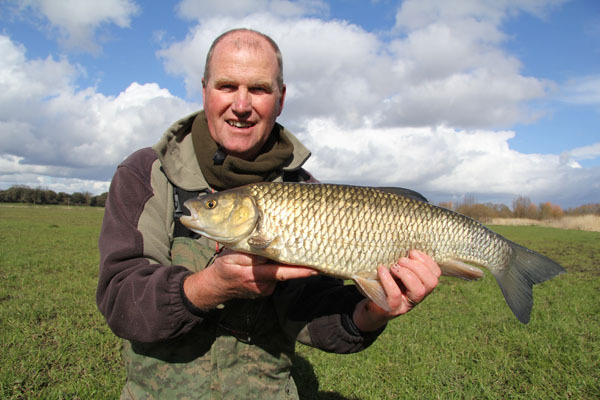 I caught another chub as Mark walked passed to fish a non-bream swim making it I think 5 chub from the swim. I must thank the previous angler for baiting the swim for me. Time was moving on again and I had in my minds eye another swim where some good fish have come from before. I have never fished it before and I must thank Andy Little for mentioning in the past. I think he had a 8lber from there. The floats I’ve been using are CLEARWATER .They are the best floats I’ve used. 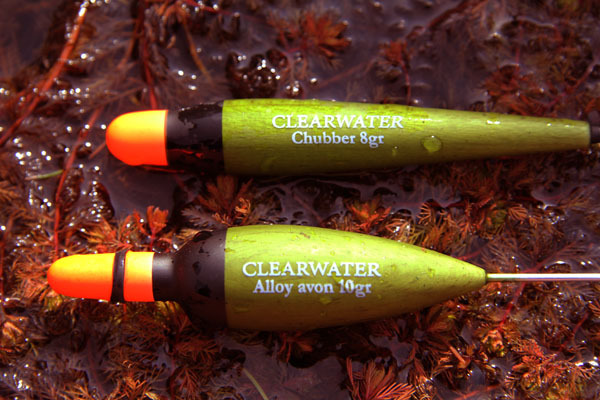 Take a look at CLEARWATER ANGLING SOLUTIONS. Anyhow at 2pm I started fishing with the float in a nearside crease which looked really nice. A few maggots each trot thrown in would do the trick I hoped. I’m unsure where the chub were however I must be able to bring them up to feed. I didn’t miss a beat even while having a coffee, tossing a few maggots each minute or so. 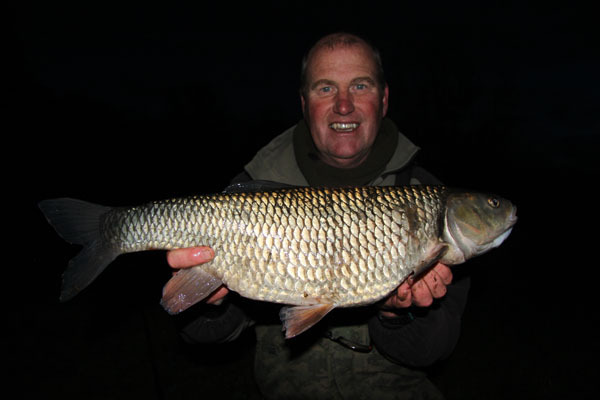 Andy carried on and continued to catch a good few chub. Mark needed to get back home early as he was busy with his successful filming business. Time moved on a barbel angler on the other bank was blanking too. Then at 6pm just as the sun was setting I had my one and only bite. It felt really big and I moved downstream to enable me to get close to it and keep the fish under control. It fought well in the current and took line and moved upstream. Could this be the 8lber? I caught sight of it and it looked rather large. I always put the landing net well downstream so it was at my side now, The odd glimpse had me worried about the size 20 hook and 3lbs 6oz hooklink. It’s sound cocky however I have landed some great chub on this gear and you have no need to rush. 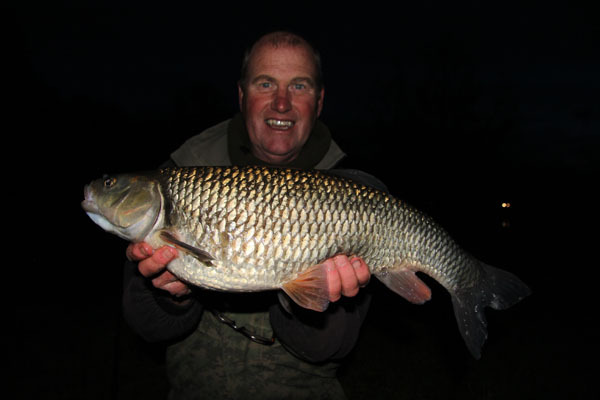 Slowly, slowly the fight was going my way and soon the chub was in the net. A quick peep had me breathless. Beautiful and huge. I unhooked the chub and rested it in the net as I sorted out the weighing gear. Will it go 7lbs yes it did. 7lbs 5oz and fanbloody tastic! However the weighing sling needed to be deducted and at 9oz it put the fish at 6lbs 12oz. So alas no 7lber for me today. However a huge fish for sure and no complaints from me. This entry was posted on Monday, March 21st, 2016 at 9:26 pm	and is filed under Uncategorized. You can follow any responses to this entry through the RSS 2.0 feed. Both comments and pings are currently closed.